Have you ever needed to find a message stored in your Inbox.. hmmmm…. well…. somewhere? Luckily, Email clients have several features that give you the ability to quickly find exactly what you are looking for. 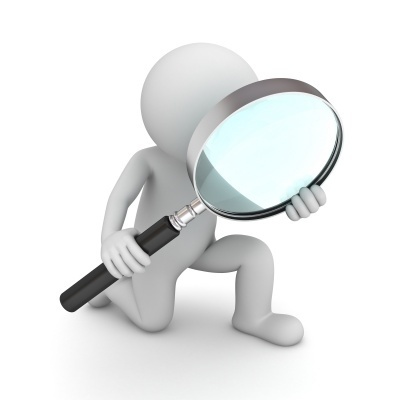 For Microsoft Outlook® users, you can use the little known but simple, flexible and powerful “Outlook Search Terms”. An Email processing best practice is to use only a few, high-level folders to store your Email messages. Then, when you need to find a message, use the power of your system's Email Search feature. Email research has found that most Emails stored in folders are never referenced again. It takes a large amount of time and effort to create and maintain complex folder structures. For every message, you need to decide exactly in which folder to store it... hmmm...where should I put it? Then you need to find that specific folder in your labyrinth of folders... click.. click.. click. Sometimes, you may also need to create a new folder that doesn’t exist yet... more wasted time. And some messages can potentially be classified to fit into multiple possible folders... so which one do you choose... even more wasted time. Instead, make just a few high-level folders for all of your messages. Then, rely on the power of Outlook Search to locate messages when you (very rarely!) need to find them again. Most people are familiar with the Search Box at the top off the Inbox. But not everyone is aware that by using a few, simple Outlook Search Terms, you can increase the power of that simple-looking Search box. So what Outlook Search Terms can you use? There are even more terms then these available, but the above are some of the most common and useful. Outlook Search is not case sensitive, so it doesn’t matter if you type in John or JOHN or John or JoHn... they all return the same results! In addition, by default it treats two words as if an "AND" is applied. So, if you type in "Subject: John Smith", then it will find messages that contain "John" AND "Smith", in any order that they may appear in the Subject. But you can make Outlook Search Terms even more flexible and powerful by adding “Boolean Operators” and “Inequality Operators”. The "AND", "OR" and "NOT" boolean operators must be CAPITALIZED to work! Otherwise, Outlook will think they are just another word to search for! Now, lets look at a few examples using Outlook Search with Boolean Operators and Inequalities. And for your date formatted fields, Outlook is pretty “smart”. It can even understand some common "english-like" terms concerning dates. As I mentioned earlier, there are actually many more terms that can be used to search things such as message size, flags, categories, and even calendar and contact information. If interested, you can review the complete list from the Microsoft Web Site. So, there you have it - a quick overview of Outlook Search Terms. There are even more ways to search for messages in Microsoft Outlook®, including the Outlook Instant Search Tool and the Advanced Find feature, which I will cover in upcoming posts. But Outlook Search Terms is quick, easy to use, intuitive, and very powerful, so make sure to try it out. I use it all the time and it saves me a lot of time in finding messages! Do you use Outlook Search Terms? Are there any Outlook Search Terms that I didn’t list that you find helpful?